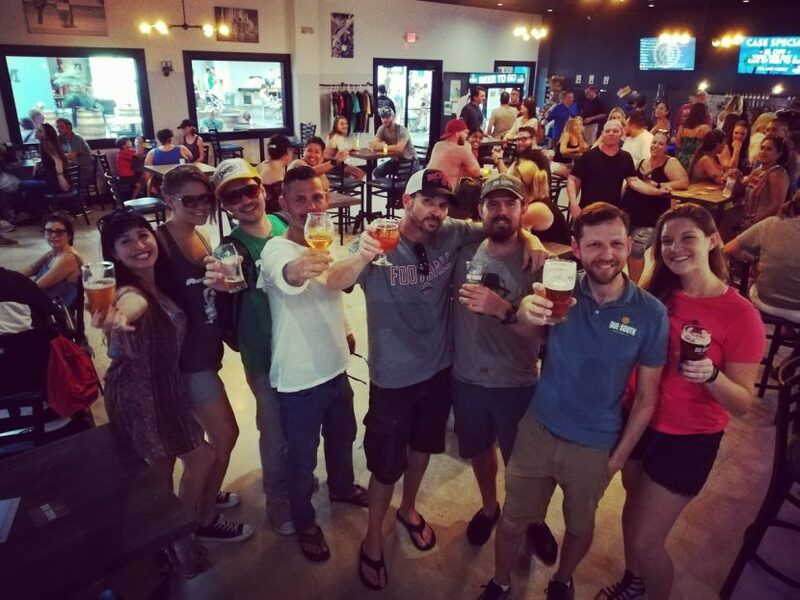 Due South Collaborates With WRMF’s KVJ Show – Due South Brewing Co.
We’re excited to share that we’ve partnered with The KVJ Show, the morning drive time four hour broadcast on 97.9 WRMF and part of Alpha Media radio stations, for a series of show personality themed beers. Every quarter our brewery will create a signature beer based on a personality of the show, starting with Peace Train — named for producer Dennys. This crushable pale ale is hopped brilliantly with Cascade and comes in at a modest 5.2% alcohol by volume. The KVJ Show is one of the best morning shows in the area, and their personalities are huge influencers: 21,000 followers on Instagram, 112,000 followers on Facebook, and a broadcast reach from Port St. Lucie to southern Broward County. Due South will continue the partnership throughout the coming year, creating new beers every quarter — including Dickie Rantz, Vicious V, and Full Gorilla.